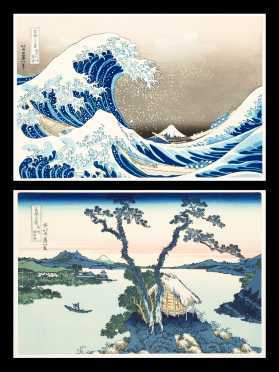 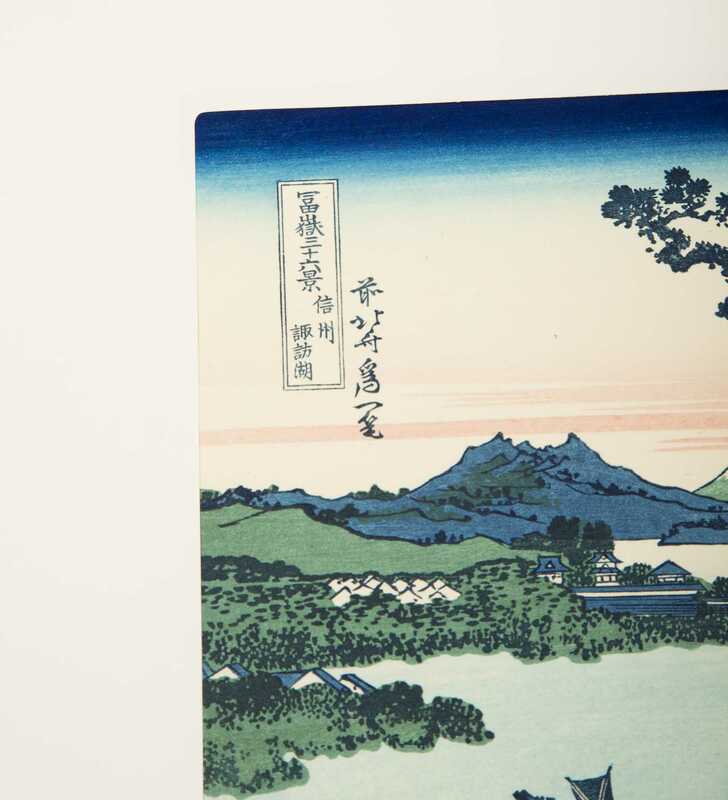 Two Japanese Block Prints, A) Lake Suwa on Shinshu from 36 views of Mt. 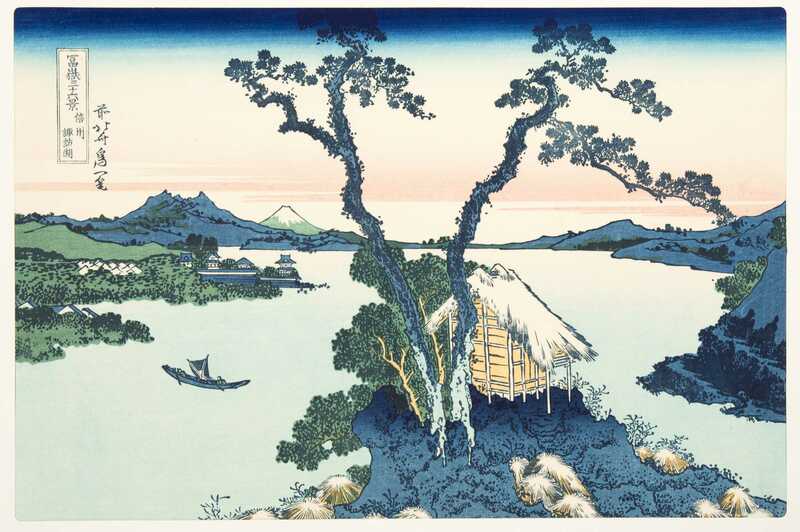 Fuji by Hokusai, 20thC. 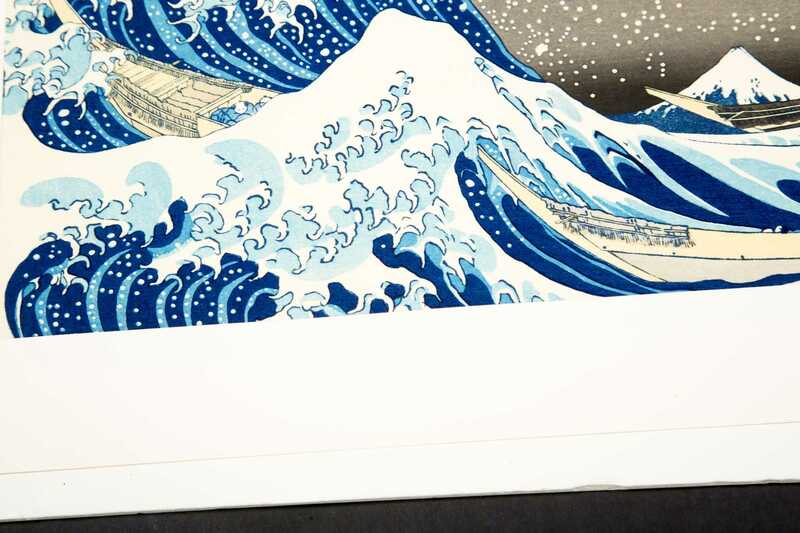 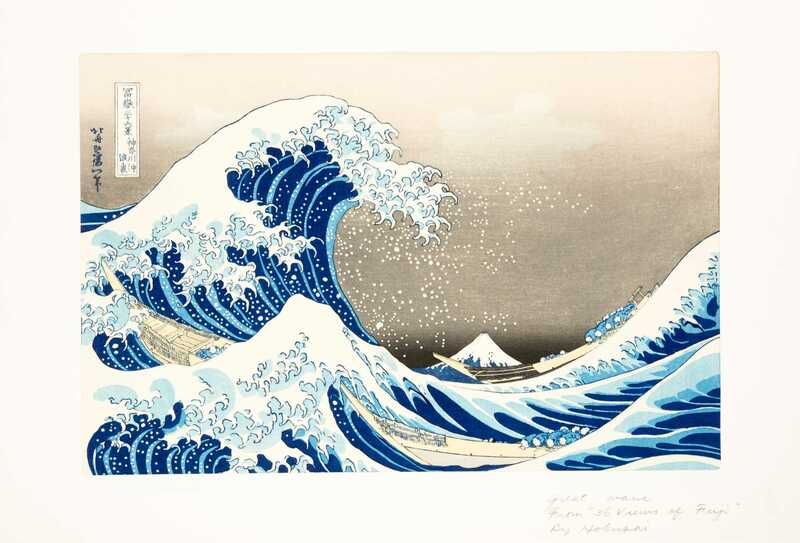 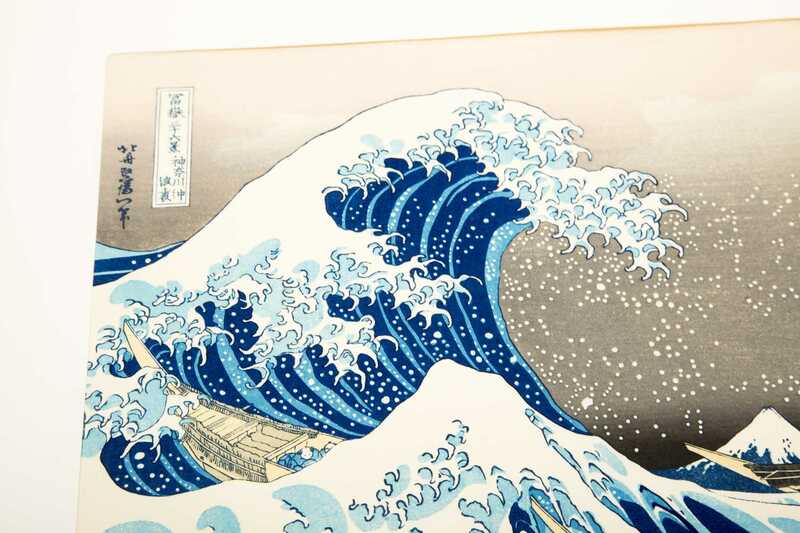 B) Great Wave from 36 views of Mt. 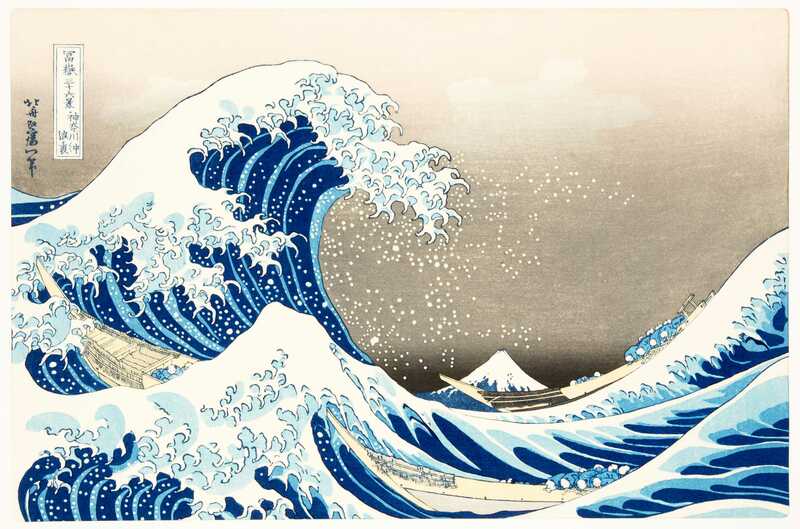 Fuji by Hokusai, 20thC. 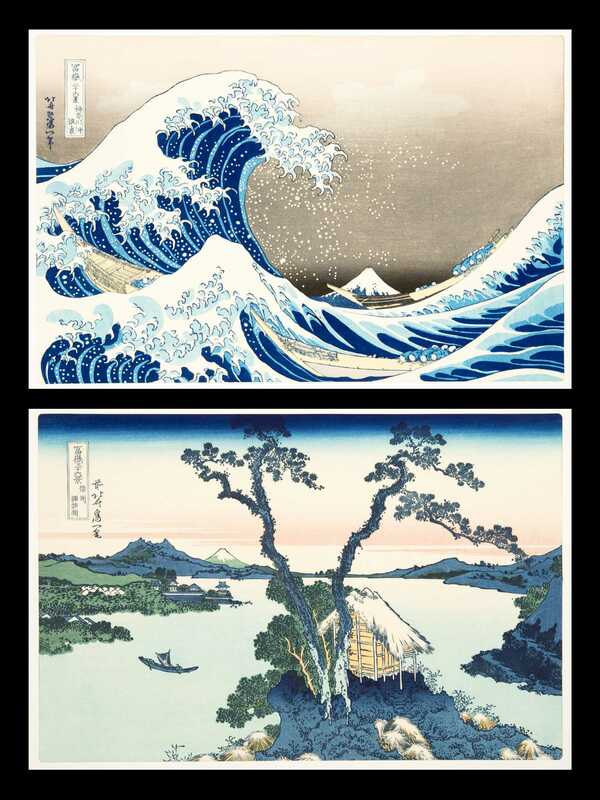 Both unframed, good condition.